It’s time to adopt a scorched pavement policy. With tons of tight corners, entrance ramps, bridges, and parkways, the city streets are made for super moto action. And the new 650 Xmoto is ready for it all. On this fiery 53 hp single cylinder engine, handling is quick and nimble. With 17 inch wheels and distinctive eye-catching style, including a low-mounted fender and lively color scheme, this easy-to-ride machine squeals around corners and surgically knifes through traffic. Colorful. Spirited. No frills. And ready to tame the urban streets. The new 650Xmoto. All the sharp-handling and aggressive attitude you need to ride in the city. 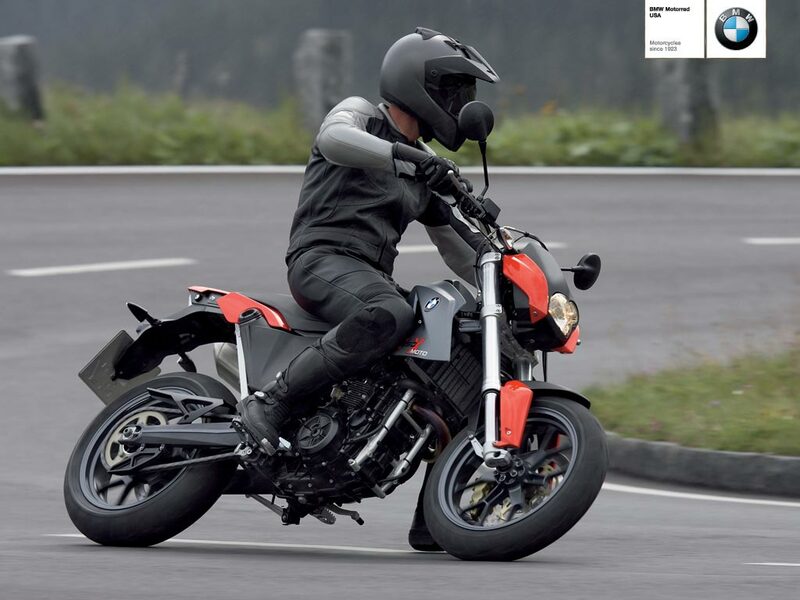 Get your kicks – the BMW G650X Moto gets the asphalt glowing. Light, powerful and with perfect banking – these are the attributes which allow the BMW G650X Moto to show other bikes their limitations. The tighter the better. Easy handling thanks to compact geometry and 17-inch wheels, cool brake manoeuvres with no surplus weight to get in the way, faster acceleration out of the bend, drifting not a problem – if you want to explore the limits of this bike, you have to know your own first!, the G650X Moto is a truly unique offer.